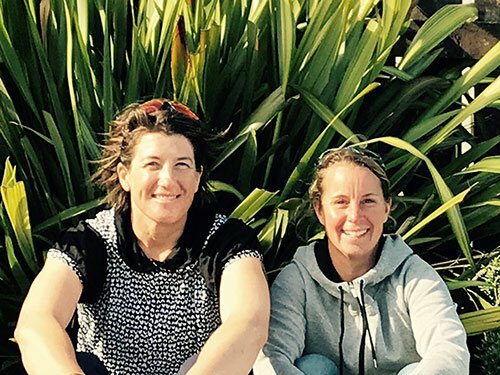 Two friends in North Otago have more than mountain biking and dairy farming in common. Twyla Kingan and Julie Ross along with their husbands Callum and Matt have a passion for making their corner of the world a better place. Both women acknowledge that dairy farming has an environmental impact and that’s why they, and their families, are focused on making improvements to reduce their environmental footprint and ensure their farms contribute positively to the community. Callum and Twyla Kingan milk 800 cows on their 320ha family farm in the Waiareka Valley, North Otago. In the past five years, the Kingans have made major upgrades to their effluent storage and irrigation systems. They can now spread effluent over 60 percent of their farm at a rate and time that suits the soil conditions. They have also installed variable rate irrigation, a technology that controls the sprinklers on the centre pivot, so that water flow can be varied along the length of the irrigator. This has reduced their water usage by approximately a third. The Kingans have also planted extensive shelter belts. “It looks good and is beneficial for both the cows, and pasture growth,” says Twyla. Following the fencing of all waterways on their property, they are three years into a long term native planting programme. “We enjoy seeing the farm increasing its biodiversity and it feels right. The kids are really connecting with the land and enjoy the pukekos who have returned to the wetlands,” says Twyla. In the Waitaki valley near Duntroon, Julie and Matt Ross farm 1800 cows on their 580ha farm. With such a big herd, having an effective effluent system is paramount. Large storage ponds and sludge beds have been built and effluent and water can be injected into individual pivots depending on soil conditions. The couple began their planting journey eight years ago. A 2.5ha wetland was created from a boggy, willow-infested area at the bottom of the farm. In 2009 when it was fenced off and the willows cleared, Julie and a team of student helpers and part-time employees set about planting thousands of native trees and plants. The wetland has proved to be an effective way of improving water quality. 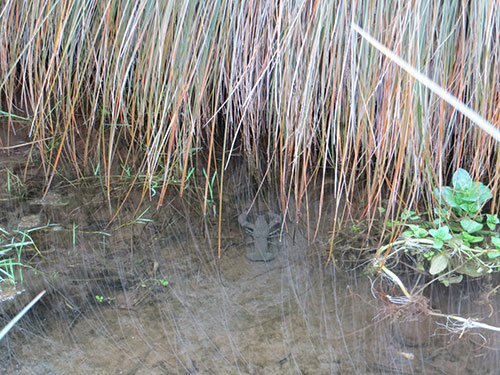 An important side effect of the wetland development has been its increasing biodiversity with the arrival of bell birds, fantails, frogs, skinks and spiders and the return of koura (freshwater crayfish) which were known to inhabit the stream many years ago but had disappeared. Julie’s most recent project has been to plant out a tributary of the wetland, a four-hectare area below a spring. The aim is to continue planting down the gully to create sediment traps for occasional flooding and to take up nutrient, as well as providing a corridor for biodiversity. The Kingans, the Ross’s and many dairy farming families throughout the country are planting for the future. They firmly believe that dairy farming and looking after our land and water can work together successfully. Photo: Julie Ross and Twyla Kingan are doing their bit for conservation in their Otago backyard.